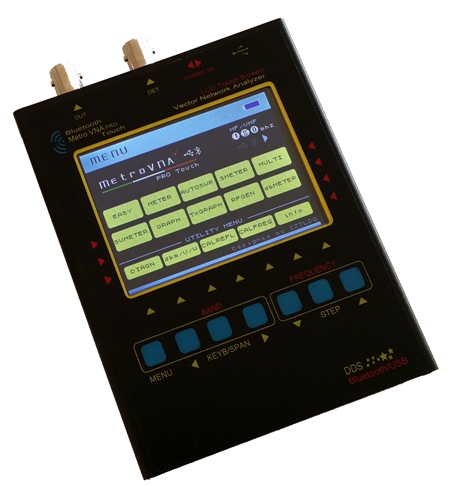 Battery operated antenna analyzer up to 180 MHz, with colour graphics display plus USB plus Bluetooth interface. 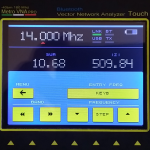 The MetroVna Pro antenna analyser enables the user to perform measurements of antennas, filters, cables and much more independent from a location. 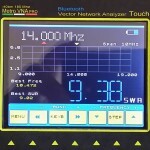 The frequency range of the MetroVna Pro starts at 1 MHz and goes up to 180 MHz, covering most major amateur radio bands from 160 to 2m (VHF). The backlit colour display is easy to read for all measurements and serves as an input device as well, because of the touch function. The softkeys on the display change according to the setting and mode and offer a clear and easy to understand handling of the device. In addition to the display keys a row of conventional keys placed on the solid metal case are available as well. 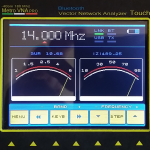 Besides a graphic display of the SWR over frequency, the built in software offers a large range of measurement options for 2- and 4- pole measurements, for example SWR (R & Ƶ), return loss, phase angle, transmission loss and much more. 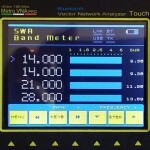 A special function is the simultaneous measurement of the SWR on multiple bands at the same time. This function greatly simplifies the tuning of multiband antennas. All these options offer a lot of convenience for the frequency dependent measurement of filters, antennas, cable, low power amplifiers, resonant circuits and many more radio related components. 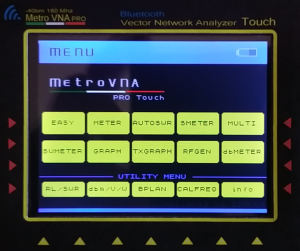 Due to the built-in LiIon battery, the operation of the MetroVna Pro is independent of any stationary power sources. Measurements can be done and checked right at the antenna. 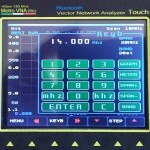 Or you can connect the analyser to a (portable) computer and use a program like IG/VNA, vna/J or BlueVNA to control the measurements. These programs also offer a convenient method of storing and archiving measurement data, for example for documentation purposes. 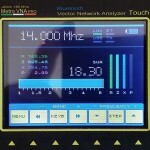 The wireless transmission of the measurement data via Bluetooth offers possibilities, where the MetroVna is placed directly at device under test, but the receiving computer is located in a protected place (in an office, a shack etc). 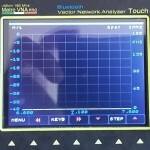 Another very comfortable feature is the option to use an Android smartphone and the BlueVNA software for measurements. The USB interface is used for charging the internal battery, updating the firmware and for connecting to programs like vna/J and similiar. The MetroVna Pro uses a rugged aluminium metal case, size only 125 x 95 x 20mm. The low weight of only 200 g allows to take the analyser really everywhere, like in a vacation, an expedition, the fieldday - anywhere you go. Ten internal menus. They are designed to simplify the measures on the outside and in the laboratory.